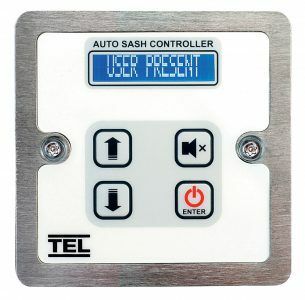 TEL’s innovative auto sash controller for fume cupboards maximises energy savings and provides increased safety for the operator. The auto sash controller is designed to close the sash automatically when the operator is not present in front of the fume cupboard. A passive infrared sensor (PIR) constantly monitors the work area in front of the fume cupboard. When the operator is present the sash can be operated manually via the optional Tiptronic touch sensitive feature or using an optional foot switch. If no movement is detected and the sash opening is clear, the sash will automatically close after a pre-determined time. Auto open option is also available. Using an automatic sash closer increases the safety of your fume cupboard operators. Using an automatic sash closer will maximise and guarantee energy savings, reducing costs and carbon emissions. Although preliminary designed for operation on VAV fume cupboards, it can also be used on CAV fume cupboards for increased safety. It can be fitted to new or existing fume cupboards with a choice of three motor drive systems to suit each type of fume cupboard. A dual auto sash controller is also available to operate on fume cupboards with two sashes including walk in type, back to back type and side by side type sashes. 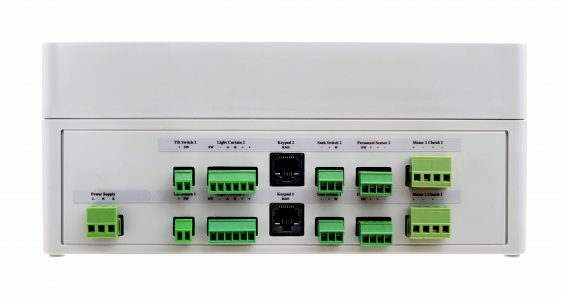 The AFA4000 is a pioneering airflow controlling and monitoring system developed to ensure the safety of users, working with industrial and educational fume cupboards and biological safety cabinets. 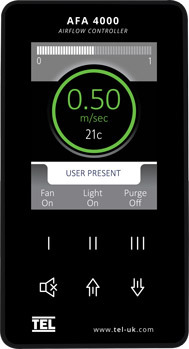 The AFA4000 airflow monitor and controller is available with optional Auto Sash integration.